Researchers in Singapore have developed a new nanomaterial that functions like the best Swiss army knife in the world. The material, known as Multi-use Titanium Dioxide (TiO2), can produce energy, it can generate hydrogen, and it can even produce clean water. But that’s not all: The remarkable material can also be formed into flexible solar cells and it can double the lifespan of lithium-ion batteries. And with bacteria-killing properties, it can also be used in new antibacterial bandages. 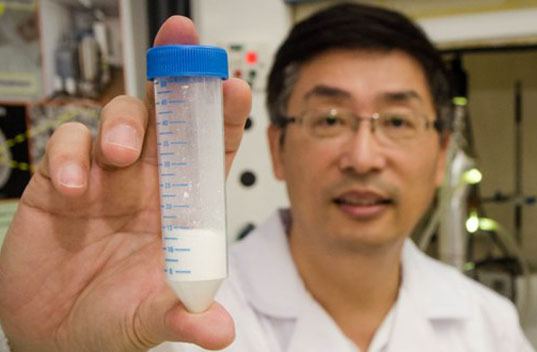 The new material, which is being developed by scientists at Singapore’s Nanyang Technological University, is made by turning titanium dioxide crystals into nanofibers, which can then be formed into flexible filter membranes. The special material at the center of it all is titanium dioxide, which is cheap and abundant and has the ability to accelerate chemical reactions and can bond easily with water. Because it can bond with water, the material can potentially serve as a high-flux forward osmosis membrane and desalinate water. But that’s just one of its many remarkable features. In addition to producing clean water, the material can also produce hydrogen when exposed to sunlight, according to the researchers. And it can also be formed into an inexpensive, flexible solar cell that can be used to generate electricity. So what are the setbacks? I'm not sold. It sounds to good to be true and most things to good to be true are. Darren Sun I'd be interested in seeing your test results and speaking with you. I have questions and concerns that I'd prefer to not air online. ...and it runs on water, man! If this can be used to cheaply desalinate water, it will be a huge game changer for most of the world. Awesome. Maybe this development should be included in any energy and global policies formulated by USA politicians. Imagine filling-up at a pump knowing no matter HOW energy inefficient your vehicle (or home) - no one will die, be crippled or run out of their home to get at the base feedstock to make your fuel. Imagine no more illness from exposure to toxic raw petroleum and its by-products. Imagine potable water becoming available to all (world-wide) for personal, industrial, recreation and agricultural uses. All things are possible with time, good intent and mutual benefit. The problem with creating more energy, is that it signals society to consume more energy. We need to reduce consumption and develop sustainable societies, not miracle cures that dig us even further into our anthropocentric technophiliac hole. 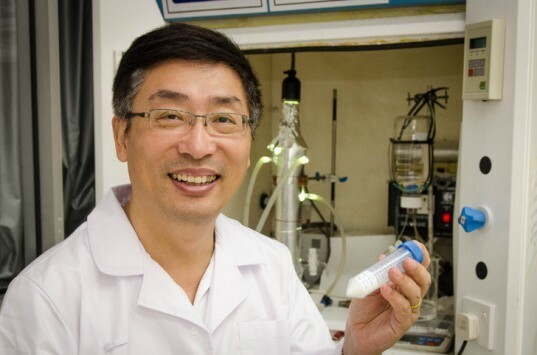 A distant, yet possible application to produce hydrogen for fuel cells? Researchers in Singapore have developed a new nanomaterial that functions like the best Swiss army knife in the world. The material, known as Multi-use Titanium Dioxide (TiO2), can produce energy, it can generate hydrogen, and it can even produce clean water. But that's not all: The remarkable material can also be formed into flexible solar cells and it can double the lifespan of lithium-ion batteries. And with bacteria-killing properties, it can also be used in new antibacterial bandages.